Centrally located in the GTA to the north end of Scarborough just south of Markham and near Richmond Hill and North York. Also, a short drive from Pickering in the Durham Region. 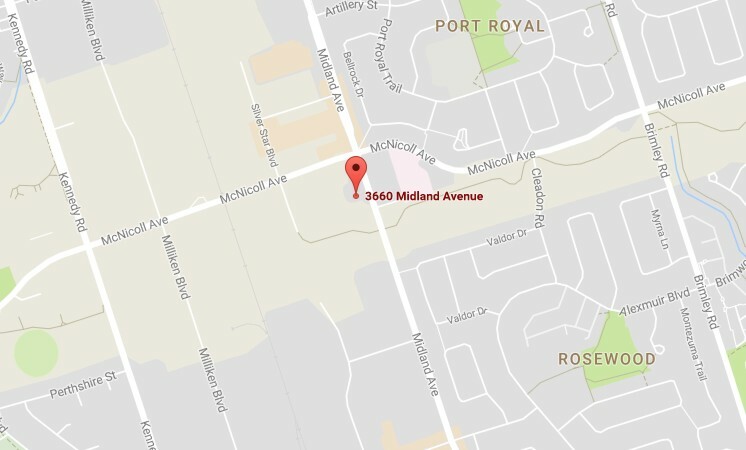 Located at the south-west corner of Midland Ave and McNicoll Ave. Plenty of free parking. Landlord and Tenant Issues, Small Claims, Evictions, Appeals, Affidavits, Provincial Offences, Employment Law, Commissioner of Oaths.